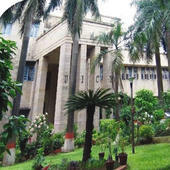 Institute of Chemical Technology, Mumbai was known earlier as UDCT is the most outstanding Institute of the University of Mumbai. 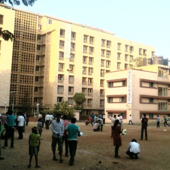 This prestigious institute is a jewel in the crown of the University of Mumbai. It was founded in 1934 and was recently awarded the status of the Institute on in 2002 and renamed MUICT.The FICCI award commemorates the “excellent relationship that the MUICT has built with industry by commercialization of major process improvement, designs in engineering and adoption of new technologies resulting in large increase in profitability”. The genesis and growth of the MUICT is a sequel to the intense desire and support by the Indian Chemical Industry. Excellent symbiosis of academic excellence and industrial relevance has been a unique feature of MUICT. This year the institute has been bestowed the FICCI award in the field of research in Science and Technology for the pioneering work in chemical engineering and technology for the year 2000-2001. 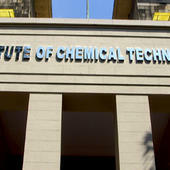 Institute of Chemical Technology (ICT), Mumbai has 10 Departments listed that offer various academic courses. Are you Interested in studying at Institute of Chemical Technology (ICT), Mumbai? This page was last modified on 19 January 2016 at 16:01.